The aim of IPAFeed database is to facilitate the access to information that links livestock health and consumption of feeds containing genetically modified organism (GMO) during an certain part of animals lifetime. The content of the database is collected by applying of selection criteria specially developed for the purpose of each section. The section “GM feed consumption" bring together the measurements of livestock productivity and health parameters made during numerous studies assessing the impacts of GM feeds to livestock health. 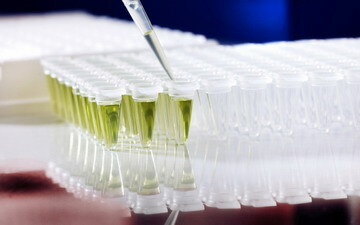 The section “DNA and protein detection” contain the experience in the detection of transgenic DNA or newly expressed proteins in livestock animals' fluids and tissues. 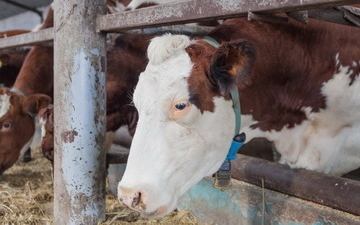 The section “Health monitoring programs” is a list of the existing livestock animals health monitoring programs and initiatives in part of the EU countries. The assessment and measurement of livestock productivity and health parameters while fed with GMO-containing feeds in controlled manner has been carried out to provide additional information about the safety and the nutrition value of GMO-containing feeds. Gain, food consumption, milk and egg quantity and quality, clinical biochemistry, etc. are some of the many parameters measured during numerous experiments. This section of IPAFeed contains data extracted from published studies assessing health impact of GM feed to livestock animals. The fate of the transgenic plant DNA and the newly expressed proteins consumed by livestock fed with GMO-containing feeds has been studies extensively in the last 15 years. Many approaches with different sensitivity has been used to detect DNA fragments or proteins in livestock tissues such as blood, kidney, liver, milk, egg, gastrointestinal tract content, etc. This section of IPAFeed contains data extracted from experiments studying the detection of transgenic DNA and the newly expressed proteins in livestock animals. The livestock health monitoring programs carried out mostly by the government agencies may provide an useful information for the post market monitoring of GM feeds. 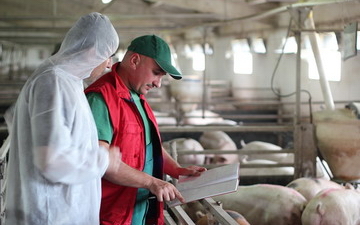 A diversity of animal health monitoring systems exists in the EU countries, large parts of which are aimed at quality control, production peformance or specific diseases. This section of IPAFeed is a list of animal health monitoring and surveillance systems and initiatives in Bulgaria, Germany and The Netherlands.